JCB will soon begin production of a new range of six cylinder engines. The new JCB Dieselmax 672 range will now join its world-leading engine line-up that began production eight years ago. JCB has established a strong reputation for fuel efficiency and innovation in just over eight years of engine manufacturing. With two production facilities in the UK and India, JCB has produced over 250,000 engines. The introduction of the new 6 cylinder engine represents an investment of around £45 million and will also create 50 new jobs by the time it goes into full production. JCB Chairman Sir Anthony Bamford observes that the company has become a major producer of engines with more than 70% of JCB’s machines currently powered by their own engines. He adds that the move into 6 cylinder engine production is a natural step as they continue to set new standards in performance and fuel efficiency. 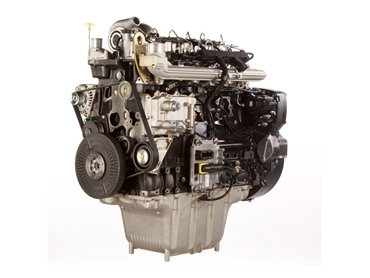 Based on the company’s successful four-cylinder 4.8-litre Dieselmax engine, the JCB Dieselmax 672 shares a high degree of parts commonality with the older engine platform. In production for more than eight years, with many engines around the world running reliably after more than 20,000 hours of service, the Dieselmax features electronic control, Delphi common rail fuel injection and fixed geometry turbocharging. The Dieselmax 672 will be initially produced to meet Stage II emissions standards for growth markets including Russia, Brazil and China. The engine will be seen first in JCB’s JS360 crawler excavators for those territories, but will subsequently be used in additional machines. JCB Dieselmax 672 six-cylinder engines will be built on a dedicated line at JCB Power Systems’ modern purpose-built facility in Foston, Derbyshire, UK. The engines will also be offered as part of the company’s OEM product line for use in non-JCB machinery. According to Alan Tolley, Director of Engine Programmes at JCB Power Systems, the six-cylinder Dieselmax 672 is the ultimate expression of the Dieselmax engine design philosophy. He adds that their use of innovative engine design and technological development has helped produce a reliable, highly durable and incredibly fuel efficient engine that will go on to power JCB’s larger equipment in many markets around the world. JCB Agricultural Equipment Australia represents the JCB brand in Australia.